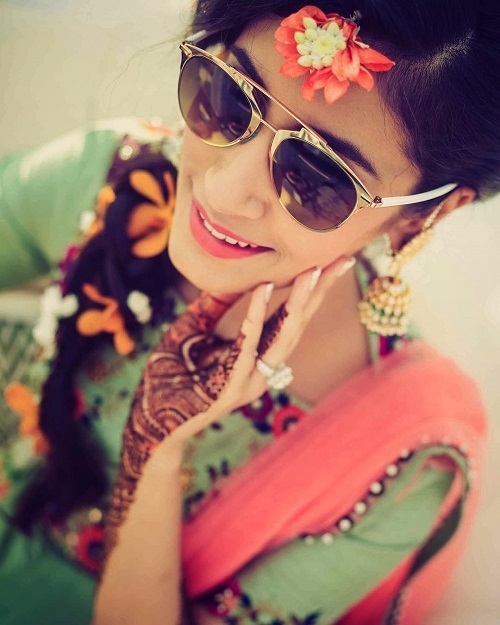 #POPxoBrides: Pretty Floral Jewellery For Your Mehendi! 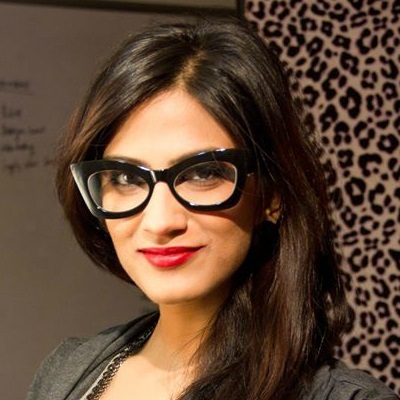 The floral jewellery trend just does not seem to be getting over! 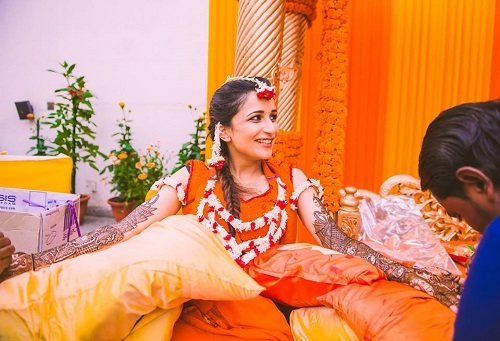 It’s still a bride’s first choice for the mehendi and we’re so not complaining. I mean flowers are bound to look pretty...always! 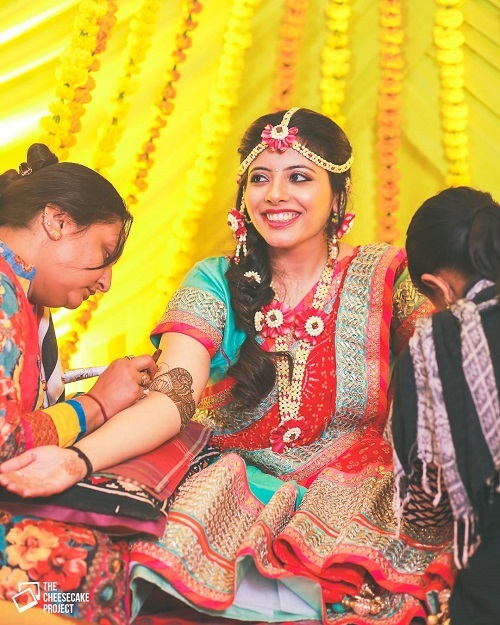 And because it’s a beautiful day, we thought why not make it better by sharing some pretty pictures of brides wearing gorgeous flower jewellery at their henna ceremonies. 1. Pink for the win! 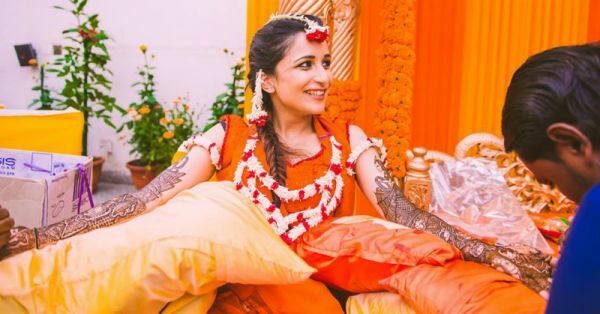 We know you’ve seen this, but well this list would’ve been incomplete without B-town’s latest bride. We love Bipasha’s floral head band, a matching bajuband and a haathphool. Pretty pink roses and just a little bit of white is such a gorgeous combination.